Via Giolitti 425-427, 00185 Rome, Italy. 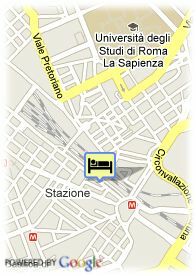 Hotel Tempio Di Pallade is located in the centre of Rome, nearby Roma Termini railway station. Tempio di Pallade Hotel is a friendly establishment of classic and elegant style. 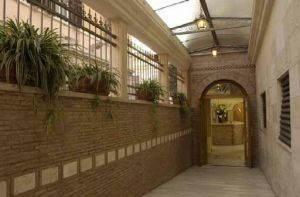 This hotel is placed in an area with one of the best connections of Rome just a step away from Roma Termini railway station (by train, bus, subway), and next to la Sapienza University City. This establishment is easily accessible, by public transport, to the most important attractions of ancient Rome, such as il Colosseo, Piazza Venecia or the Roman Forum. The Hotel disposes of 45 rooms of classic and sober style. Its rooms were equipped with full Bathroom, phone, air conditioning, safe box and TV-set. In the dining room of Tempio Di Pallade, a space where the ochre-coloured yellow predominates, a full of breakfasts is served every day. Visa, Diners Club, Maestro, Mastercard, JCB, CartaSi.